If you pay attention to the conversation regarding tort reform and medical malpractice claims, you are likely aware of one of the most common arguments coming from critics of litigation after a medical error or mistake: these claims and awards are directly tied to increases in the costs of medical care and therefore are a burden on taxpayers. Not only has this notion been used in attempts to discredit the nature of medical malpractice claims in general, but it has also been proven to have a significant impact on jurors’ opinions when it comes to awarding damages to plaintiffs. 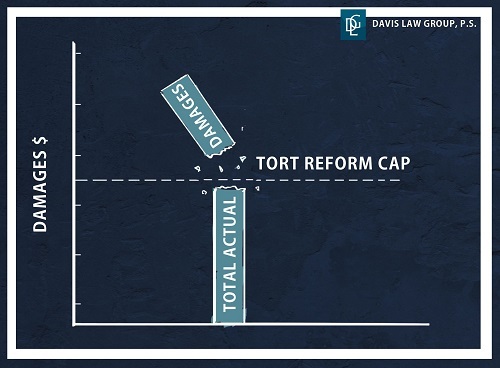 Tort reform – a term used to describe efforts to reshape the U.S. civil litigation system and reduce the financial burden associated with frivolous lawsuits – has been a hot topic of conversation for what seems like decades at this point. And the ultimate goal of tort reform – to keep frivolous cases out of court and control the costs of healthcare and medical malpractice insurance – is commendable, because all attorneys should be pushing for the system to be as efficient and realistic as possible. In one of the most significant and largest medical malpractice verdicts in the history of the U.S., a jury in one of the most conservative counties in New York recently awarded $130 million to a plaintiff whose child was born with a severe brain injury and a form of cerebral palsy after the hospital allegedly missed several warning signs and failed to take corrective action. After the award was announced, defense attorneys for the hospital being sued cried that the jury was “out of control” and, predictably, called for more tort reform. And so, on the heels of one of the largest medical malpractice awards in recent years, it seems appropriate to discuss whether or not there is actual need for additional tort reform. One of the first ideas that legislators came up with when attempting tort reform was to shorten the statute of limitations – the amount of time that injured parties are legally allowed to exercise their legal rights and bring a claim forward. Lawmakers hoped this would reduce the overall number of doctors being named in lawsuits, but in reality it resulted in more doctors being named as defendants in lawsuits because plaintiffs needed to act quickly and preserve their rights. Many times, investigation into the case causes multiple defendants to be dropped from record, but in the meantime they face the media attention and personal anxieties of being named in a malpractice lawsuit. As for the argument of increases in healthcare costs as a result of malpractice suits, proponents of tort reform often claim that doctors’ fears of being sued for malpractice causes them to practice defensive medicine and prescribe tests and treatments that may be unnecessary, which then drives up the overall cost of healthcare. However, research done by the Congressional Budget Office and the Government Accountability Office shows that this is not the case, and that doctors actually have incentive to practice defensive medicine because it generates additional revenue. As far as the claim that further tort reform would reduce the cost of malpractice medicine, researchers at the Robert Wood Johnson Foundation conducted 11 major studies on the topic and found that medical malpractice insurance premiums were just as likely to increase in states with even extensive tort reform measures as those without them. If tort reform isn’t going to reduce the costs of healthcare and keep frivolous lawsuits out of the courts, then what is the real solution to the problem? The history of anesthesiology paints a vivid picture of how to best move forward and keep everyone’s best interests in mind. In the late 1970s and early 1980s, insurance rates for anesthesiologists were among the highest of any area of medicine. Adverse affects were extremely common, and the complications that resulted were easily attributed to anesthesia. And since an estimated one in 6,000 administrations of anesthesia led to death, anesthesiologists were considered an extreme risk to insurers. After all of the negative publicity caught up to the profession, the American Society of Anesthesiologists began a comprehensive overhaul of best practices and revamped standard procedures, which included mandatory monitoring of patients, reductions in consecutive hours worked and improved training. Within ten years of this shift, the fatality rate dropped from 1 in 6,000 to 1 in 200,000. Anesthesiologists experienced a dramatic drop in insurance costs – so low in fact that anesthesiologists’ premiums are among the lowest of all medical specialties. What's the take away from this? A focus on improving patient safety and taking time to reduce the risk of injury or death can create a more positive environment for everyone, while simultaneously lowering the costs of maintaining a medical facility.